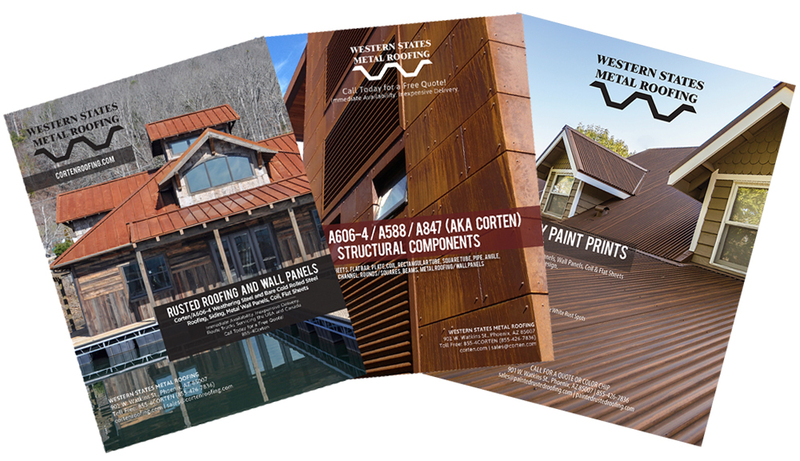 Wide variety of Cor-ten® (A606-4) corrugated roof panels in stock in various gauges. Custom panels also available for your steel roofing project. Available for immediate local pick up or delivery.